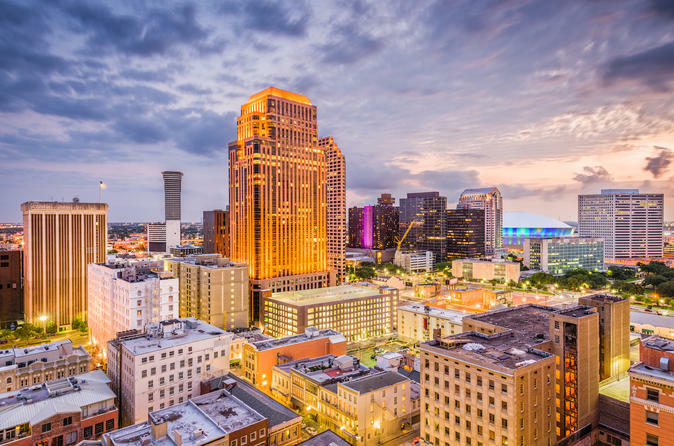 Experience New Orleans with us on this 2.5-hour sightseeing bus tour. Venture out of the French Quarter to explore the beautiful Garden District, Treme, Marigny, 9th Ward, and many other unique American neighborhoods. Learn about the city's fascinating history and awe in the sights and sounds of America's greatest city. Starting off in true New Orleans fashion you will be picked up curbside in front of your hotel. Nothing keeps a New Orleans parade from rolling so please be ready outside as the driver will arrive within 15-20 minutes of your scheduled time. Don't be late for the party! People come from all over the world to experience the charm of New Orleans. This tour aims to show you just how we got this way. This tour runs rain or shine, no matter the number of people that booked the tour. As we said, the party must go on! Sit back, relax, and let the good times roll. Feel free to ask as many questions as you want as you travel through the French Quarter, Frenchmen Street, Marigny Neighborhood, 9th Ward, Musician's Village, Treme, Esplanade Avenue, City Park, Lake Pontchartrain, Historic St. Roch Cemetery, St Louis #3 Cemetery, Oldest Streetcar in the World, Saint Charles Avenue, Tulane and Loyola Universities, Garden District, Celebrity Homes, Magazine Street, WWII Museum, and the Warehouse and Arts District. After the tour, you will be dropped back off at your hotel. Make sure to ask your guide for restaurant and tour recommendations. There are some hidden gems you don't want to miss.